You’ve been waiting for this opportunity. You set aside a huge portion of your money to make this cruise vacation happen. Of course, you would want to make the most of your cruise budget without totally draining your bank account. Wait, is that even possible? SAVING money on a cruise vacation? Absolutely! And a lot of it can be made possible even before you go onboard. Don’t get confused, you did read that right. You can either book months before your preferred cruise date, or just a few days prior. How do you know when the best timing would be? It depends on two factors: One, whether your target date is during peak season, or if it’s during the low season. Second, if you have very specific cruising needs like cabin space, specialty restaurant reservations, and excursion plans. If you’re aiming to go during the ‘high’ season, make sure to book months before. This way, you can take advantage of early bird promos that not only include discounts – they even come with freebies! Early bookings also help you secure your unique specifics – your preferred cabin, your desired dining times and venues, spa reservations, and other preferences that easily get snatched up during peak season. If you’re the type who prefers being free of crowds and long queues, booking last minute during the off-season is going to yield some great savings for you. Cruise lines usually dish out promos and discounts make sure they reach the optimum number of passengers on the sail date. The setback? You may or may not get the cabin you want. But then again, the gamble may just be worth that little ‘sacrifice’. Cruise deals are not really rare gems, there a lot of them to be found both online and offline. If you know some agents or there are booking agencies near you, you can always ask around regarding ongoing promos you can avail. If you prefer to let your fingers do the walking, the internet is a treasure trove of deals! Check out the websites of cruise lines, travel agencies, cruise review websites (sometimes they offer deals too! ), and even your inbox for emails on ongoing or future promos. Don’t snag a ‘good deal’ right away though! Take your sweet time to compare and contrast the packages your research yields you. What kind of savings do you make on this one? What benefits do you get when you get this other one, and at what value? 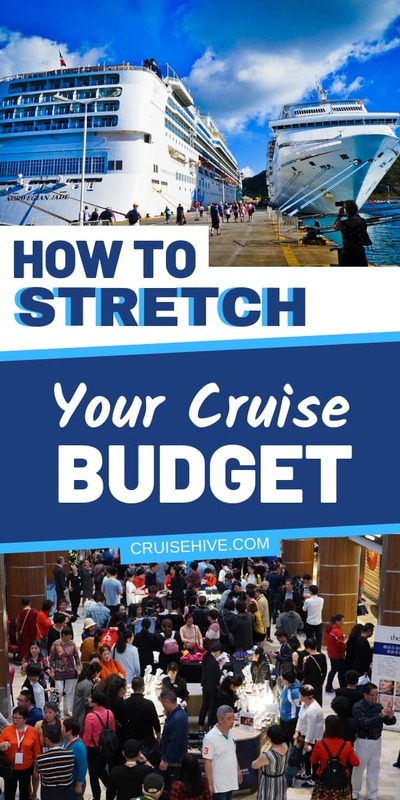 Careful analysis and knowing your cruise priorities will help you get the best price, and the best inclusions you can have in a package. Newer ships are almost always more in demand. They’re more modern, have upgraded facilities, and are really just ‘shinier’ and more appealing. Even their restaurants have more sought-after menus! BUT, you still cannot discount the fact that older ships have a certain elegance and grandeur to them that newer ships simply cannot equal. Most have also been refurbished with modern upgrades (like the Royal Caribbean’s and Carnival Cruise’s) to more accurately echo the look and feel that each cruise line currently promotes. Despite the additions, most fares are still relatively lower on older ships compared to more recently launched ships – and the experience is just as amazing and memorable. Good deals abound, and this includes incentives from different companies involved in the booking process. Cruise lines offer additional discounts and freebies for their loyal passengers – if you’re not for trying out another cruise line, then this is definitely something to inquire about. You may also get extra savings from your credit card company, especially those who have tie-ups with cruise lines or travel agencies. Don’t ever hesitate to ask! The list of free drinks on a cruise is limited, and if you plan to ‘celebrate’ to the fullest (alcoholic beverages included), then you might want to consider availing a drinks package for the duration of your cruise. Sodas, specialty coffee, and alcoholic beverages can become pricey on the ship, and availing of a package prior to boarding allows you to enjoy better rates. It will give you better control of your consumption, and it’s definitely a lot more convenient to not worry about ordering that very refreshing cocktail (and then another, and another…) and going broke at the end of your trip. Unless you want to have one trip after the other, it is definitely more practical and budget-friendly to choose a ship that embarks from a port near you. In the United States alone, there are cruise ports in New York, Seattle, Boston, Los Angeles, and Houston among many other cities. Imagine how stress-free it is to not think about plane fares and flight schedules! This definitely saves a huge chunk, which you can allocate for other packages you want to avail. Going on a quick drive to the port instead of a plane ride also means saving on possible overnight accommodation expenses. Take careful note of these tips, put them into practice during your cruise planning stage, and you’re sure to get more value for your money – and perhaps even more ‘leftover money’ than you expect!